Summergate is a land development company based in Lakeville, MN with current developments in Lakeville, Plymouth, Cottage Grove, Shakopee, Otsego, and Owatanna. Approximately 6 years ago Summergate was in need of website with a plan of targeting originally three focus areas: Land Development, New Homes, and Property Management/Investments. I was able to create a site that satisfied those needs including creating custom assets such as detailed floor plans. 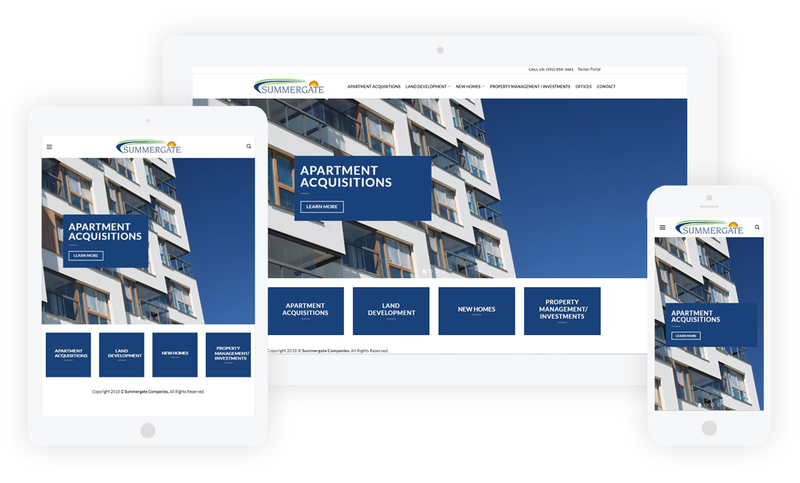 It has continued to be a productive business relationship and Summergate agreed to update and redesign the site within the last year to add new features including Apartment Acquisitions, and an even more modern look.